It seems that these lilliputian gardens are fascinating to people of all ages, whether a gardener or not. Making them can be seriously addictive; consider yourself warned! 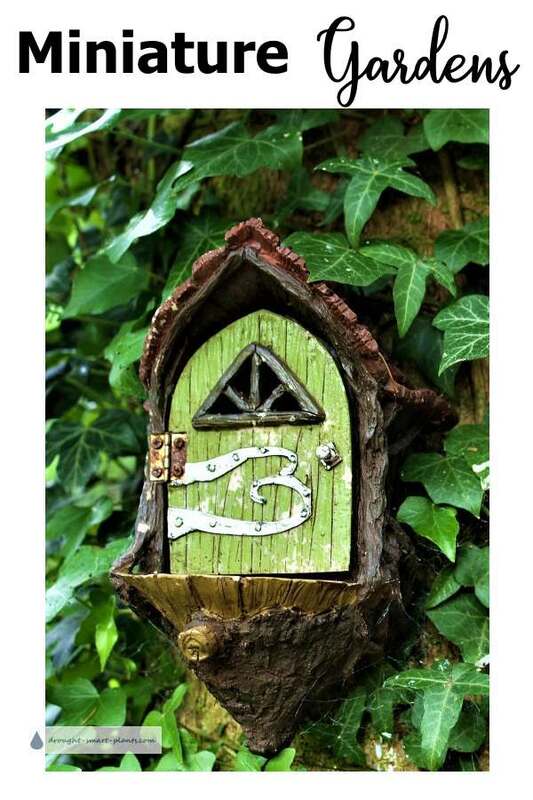 I'm not the only one who has fallen under the spell of fairy gardens; you have only to look on Pinterest to find lots of great examples of the cute and diminutive miniatures, complete with fairies, little chairs to sit on, and all the other garden furniture we're used to seeing full size. Your fairy garden might range from something simple, like a pathway through your containers of succulents, leading from one to the next; using flat rocks found in your travels or even hypertufa paving stones. 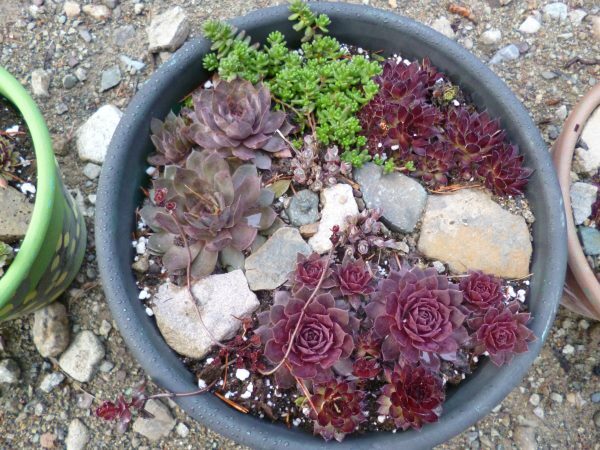 You can create a winding trail through succulents, thyme or other small scale ground covers. Or, they might be something much more serious...like a full scale model of a tiny village. Somewhere in between these two extremes, you'll find lawns made from Elfin thyme, little Sedum varieties such as Sedum album 'Faro Form' or Sedum lydium, accented with some miniscule species of Sempervivum arachnoideum. You can even use moss for a lawn. The best plants for miniature gardens are those that stay small, and have a compact growth habit, and tiny leaves. Aching for a tiny patio, complete with white cast iron chairs and a delicate little table? Look no further; Garden Therapy is here to help. Organized Clutter shared this kitchen fairy garden; there are all kinds of items commonly found in kitchens, used in very imaginative ways to make a garden for this sturdy fairy figure. Got an old stump in the middle of your garden? Why not emphasize it and make it into a fairy garden for the wee folk? Or use a wheelbarrow or rustic red wagon and make a moveable one? Flea Market Gardening has a lot of ideas to share with you. Garden Therapy shares this really great tutorial on making your fairy garden in an Easter basket. We all have some of those around, right? Well, get them out of the basement or from under the shelves in the storage shed, and get going! Find out how to break a clay pot, especially for a terracotta clay pot fairy garden, and make your own.